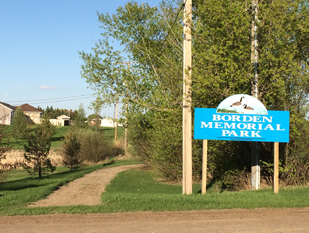 Borden Memorial Park is located on the east edge of the village. Access to parking is on Heritage Street. 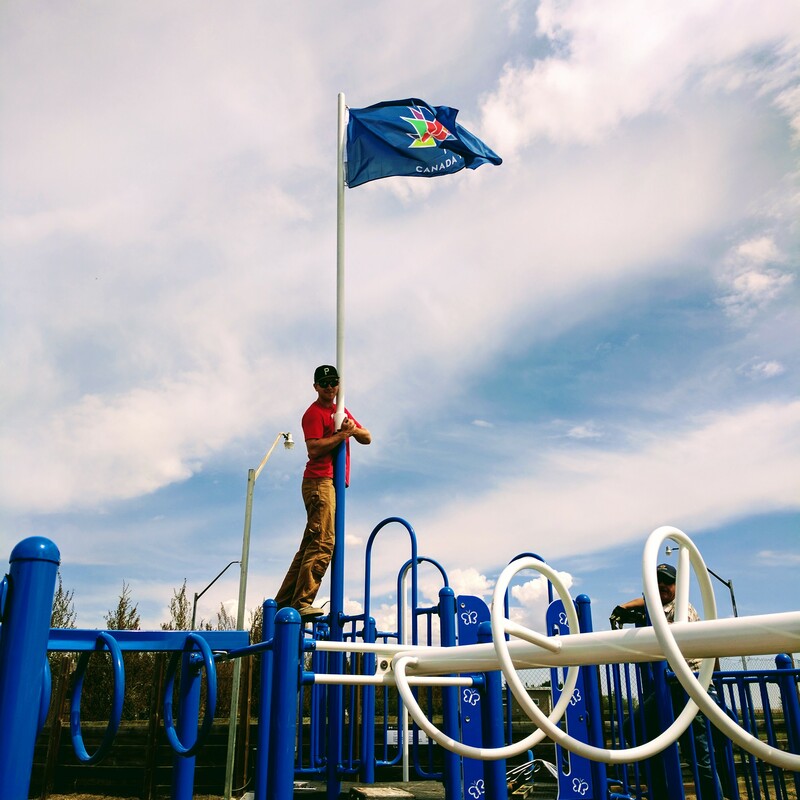 The park has 2 ball diamonds, a play structure, outdoor rink, washrooms, and a walking trail of approximately 3.5 kilometers that winds through 22 acres of prairie park along Shepard’s Creek. The park hosts adult slo-pitch and youth fastball leagues, as well as a learn to play league for beginners. Facilities can be booked for private functions by contacting the Village Office at 997-2134. The Borden Parks and Recreation is always working towards raising money to benefit the community with sports, culture and recreation initiatives. Borden Memorial Park's new play structure is a highlight for the kids in town. We welcome families to come out for a picnic and a play at their leisure. The Rec Board is always looking for new members with new ideas for the park.